P is for… Peru. Feliz Año Nuevo! I can’t believe it’s been so long since I’ve blogged. It’s been an incredibly busy couple of weeks and every time I sit down to write I’m just too tired to even think. One of the things that have kept me so busy is the Jewish High Holidays. Two weeks ago we celebrated Rosh Hashanah, the Jewish New Year, and last week we celebrated Yom Kippur. 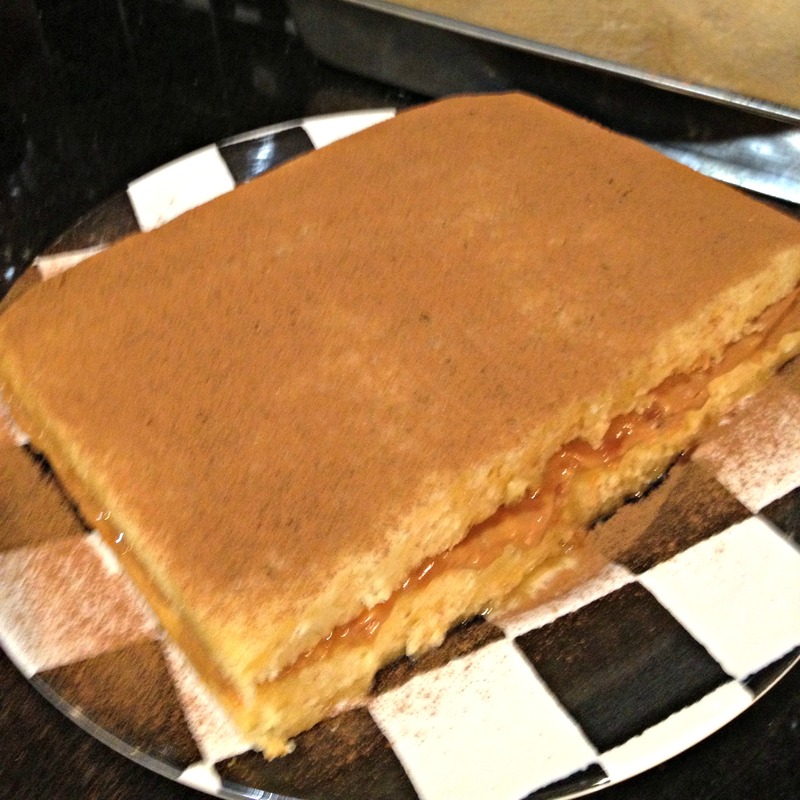 During Rosh Hashanah it’s traditional to eat sweet things to represent our wishes for a good and sweet year to come so this seemed like a perfect time to make Encanelado, Peruvian cinnamon cake filled with dulce de leche. Making this cake presented quite a challenge, not because it was all that difficult to make, but because recipes were so hard to find and not very specific. I could only find two recipes in English. The majority of recipes were in Spanish so I translated a few more using Google Translate. As I said though, none of these recipes were very specific saying things like, “pour batter in to a rectangular or square pan” so there was a lot of finger crossing and educated guesses involved in making this cake. First off was the making of the dulce de leche which I had heard could be sort of dangerous. Truthfully, it’s incredibly simple using the boil in can method and as long as you ALWAYS make sure the can is covered with water you’ll be fine. 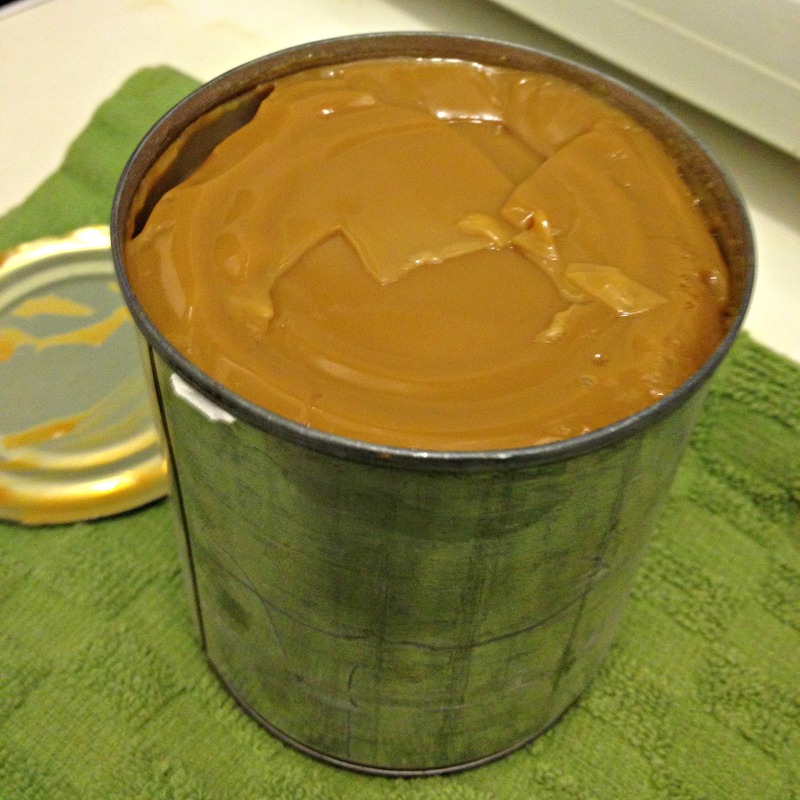 The most dangerous part for me was reminding myself that I needed the dulce de leche for the cake and couldn’t just eat it right out of the can with a spoon. All of the recipes I found were very similar and I was surprised by the high egg to flour ratio, but in my quest to keep these recipes fairly authentic I went with it. My one adjustment to the cake was that where the recipe called for a shot of Pisco, a Peruvian brandy, I replaced it with White Tequila. The Pisco is used to make a syrup that you drizzle on the cake, but the Tequila worked just as well and it made no sense to go buy an entire bottle of Pisco. The role of Pisco is now being played by White Tequila. After you make the cake and cool it you’re supposed to slice it in half lengthwise and fill it with the dulce de leche. I have no idea if the “rectangular pan” I chose, a 13×9 was too big or if I should’ve changed that strange egg to flour ratio, but the cake never grew higher that an inch so I made an adjustment and sliced the cake in half vertically. Despite all this the cake still turned out to be a great way to ring in a good and sweet new year. Are you there God? It’s me, Encanelado. How come I’m so flat? Why can’t I be like all the other cakes at school? Preheat oven to 350. Butter and flour a 13x9in pan or line with parchment paper. Beat eggs until fluffy, add sugar. In separate bowl sift together the flour and baking powder then add salt. Add the dry ingredients to the eggs and gently stir to incorporate. In small sauce pan mix together sugar in water. Bring to a boil making sure sugar is dissolved. Add Pisco and simmer for 10 minutes. Allow to cool completely. Use boil in can method mentioned above or another method if you prefer. I believe you can also buy this premade. Once cake has cooled completely slice in half lengthwise or, if your cake is flat like mine was, vertically. 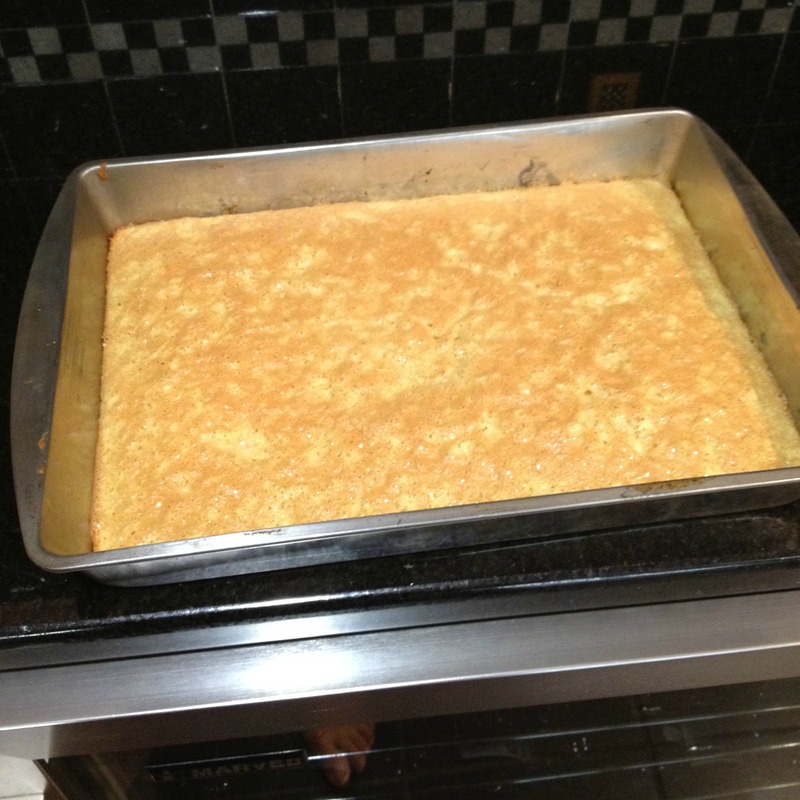 Soak bottom layer with half the syrup then cover with all of the dulce de leche. Cover with the top layer. 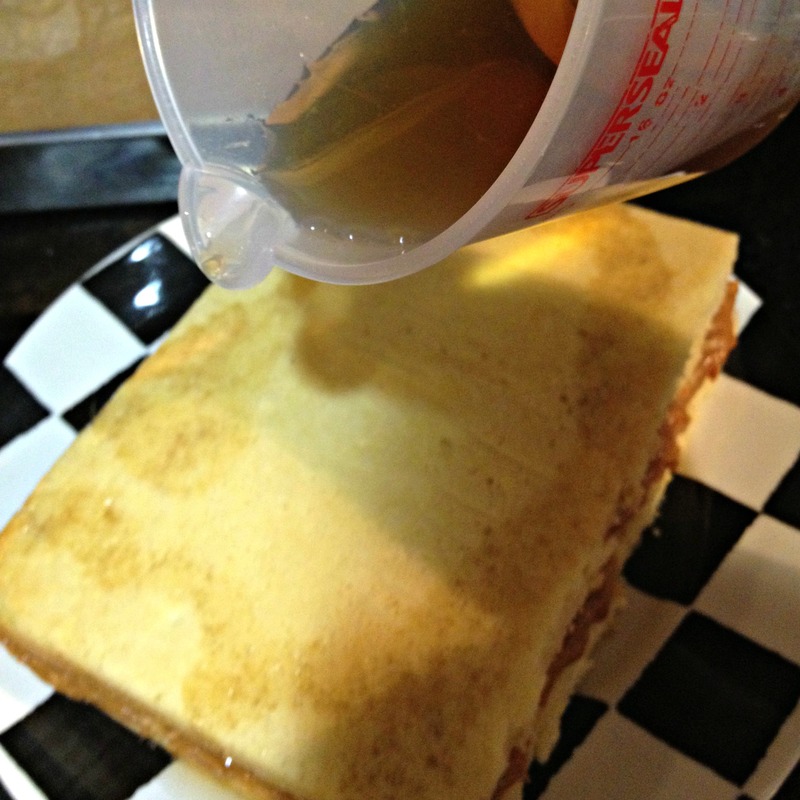 Pour the remaining syrup over the top layer than dust completely with cinnamon. Yea, I’m flat, but I know how to work it. This was a tough grade to come up with as my family all agreed that this cake had some textural issues, but the flavor was great. The flat as a board cake wasn’t bad, but it was coarse and a bit dense. The bites where the syrup really soaked in where the best as they softened up the cake. The flavor however saved this cake. Dulce de leche and cinnamon are just natural partners, kind of like Luke and Lorelai (woot woot, Gilmore Girls reference there!). So the flavor was great and the dulce de leche just gave everything a decadent quality. I will definitely be making this cake again because I’m determined to get it right. A taste that good deserves an equal partner in texture. I think I’ll just make a basic white cake next time or even experiment with cupcakes… cinnamon whipped cream topping anyone? This entry was posted in Uncategorized and tagged Dessert, Peru.